Sports Traveler was founded in 2000 by Anbritt Stengele (current President). Ms. Stengele, a former competitive and professional figure skater, traveled extensively throughout the United States throughout her career. Later she became a coach and trained dozens of figure skating hopefuls in competitive programs in both Michigan and the Chicago area. "I set out on a search for a hotel package with good seats--but couldn't find one. After a very long search on the Web and many long distance phone calls, I gave up only to learn later that there was a hotel across the street from the stadium that had a great package. So I said to myself--there should be a Web site just for fans like me searching for sports travel packages." (Pictured above) A photo from the very first Sports Traveler Tour. Check out that old logo! Ms. Stengele created the first Sports Traveler website herself for football travel packages and tickets. The site quickly took off and was voted Website of the Week by MyComputer.com in December of 2000. 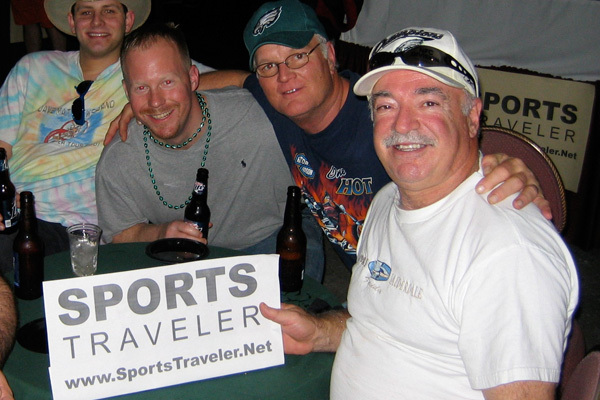 In 2001, she developed the current Sports Traveler website to include all major sporting events for all types of fans. The network has now become the single largest source for sports travel on the internet covering sports travel options for virtually every sporting event worldwide. Key new additions to the company have followed including corporate and group travel as well as Sports Traveler VIP for luxury and celebrity clients. In 2009, Anbritt Stengele along with co-writer and International Sports Writer Lydia Rypcinski released the book, Sports Traveler Chicago, a sports fans guide to the Chicagoland area. The tour book covers everything travelers will need when planning their game day experience in the Windy City. Sports Traveler Chicago was awarded the 2010 Illinois Woman’s Press Association Mate E. Palmer Communications Contest for Best Non-Fiction in the general category and was also the winner of the 2010 National Federation of Press Women Communication Contest for Best Non-Fiction. 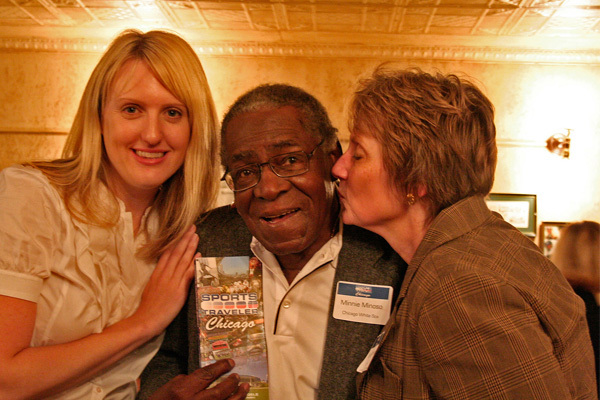 (Pictured left to right) Anbritt Stengele, baseball legend the late Minnie Minoso, and Lydia Rypcinski. 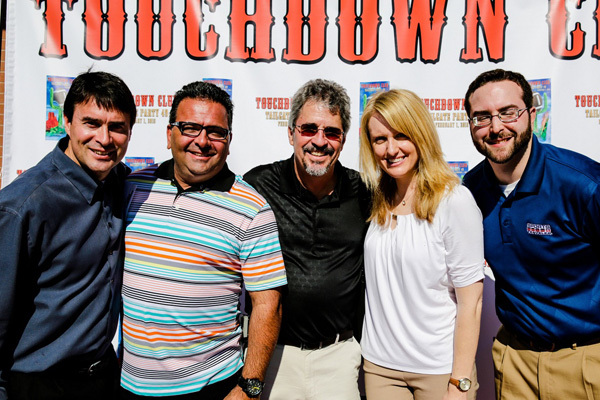 Sports Traveler has been featured numerous times on XM Satellite Radio as well as on ABC Radio and Fox Television insight and viewpoints on sports travel and the sporting event ticket industry. In 2014, Ms. Stengele was named one of the 14 Most Influential Women in Travel by Groups Today Magazine. Sports Traveler has also been featured in the travel sections of the Wall Street Journal, The New York Times, Washington Post, Miami Herald, Chicago Tribune, The Globe and Mail (Canada), the New London Day, the Naples Daily News, the Richmond Times Dispatch and the San Diego Union-Tribune as well as Best Life, Men's Journal, Travel Age West, and Crain's Chicago Business magazines.